ROCK BOTTOM is an open air music concert featuring fantastic live music. 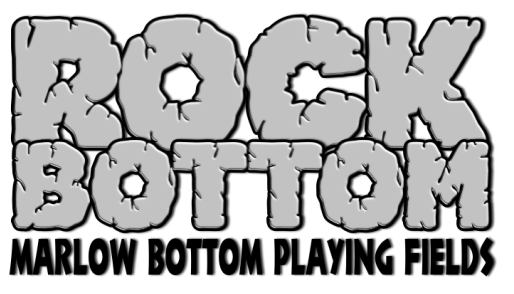 On 22 June 2019 we'll be presenting our seventh Rock Bottom event at Marlow Bottom Playing Fields. You can see our line-up for 2019 here and, once again, it includes a fantastic mix of local bands and outstanding cover and tribute bands for you to enjoy. TICKETS are on sale! Click here to go to our ticket page. Have a look at our YouTube channel to see some of our acts performing in prior years. We delighted to confirm that local Marlovian Dave ("Dave the Disco") Pering will be our master of ceremonies at Rock Bottom 2019. As well as running his local music entertainment business, Dave is a regular presenter on MarlowFM. You can find our more about Dave here: http://davethedisco.co.uk or on his Facebook page. Summer wouldn't be summer without great food eaten outdoors. We will have a massive range of tasty food to try at the festival including the very best local local fare or sink your teeth into a delicious burger at the BBQ. ​We'll have a fully licensed bar run by our friends at Rebellion Brewery and plenty of outlets for hot and cold soft drinks. WHAT'S BEING SAID ABOUT ROCK BOTTOM ...?